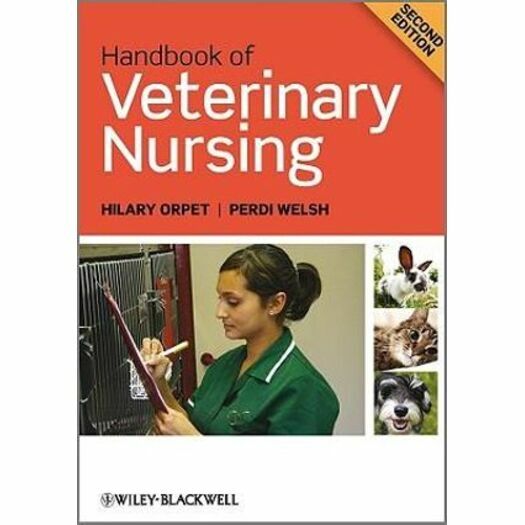 Handbook of Veterinary Nursing presents essential guidance and helpful tips on developing and delivering high quality nursing care and skills. Fully updated, this easy-to-follow guide reflects recent changes to veterinary nursing qualifications, current terminology and drugs in use. The emphasis is on the importance of working methodically, using high quality procedures, to help the whole veterinary team ensure the most successful outcomes in animal care. Written in note form for quick reference by veterinary nurses and technicians at all stages of their training and career, this will be invaluable for both exam revision and quick reference in clinic. The nursing process in veterinary care, physical assessment of the patient, managing the hospital environment, managing the operating room, surgical nursing activities, anaesthesia, diagnostic imaging, diagnostic tests, triage and emergency procedures, and essential calculations for drugs, fluids, nutrition and radiographic exposures.